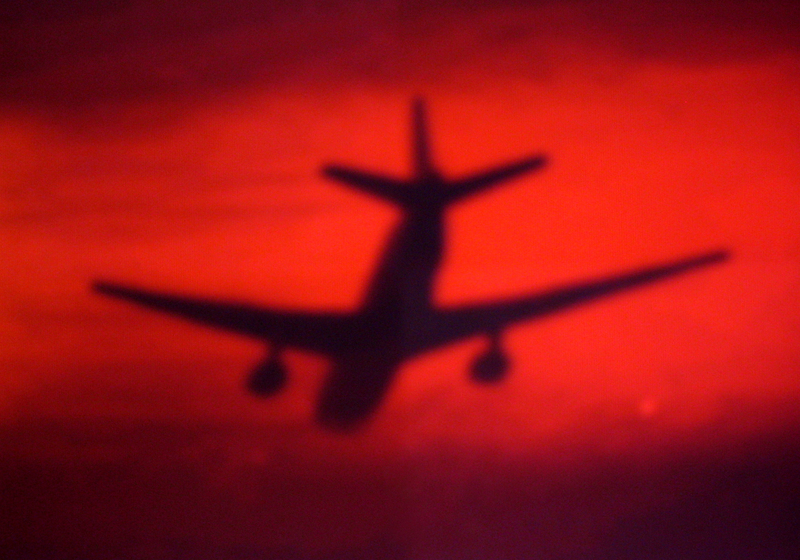 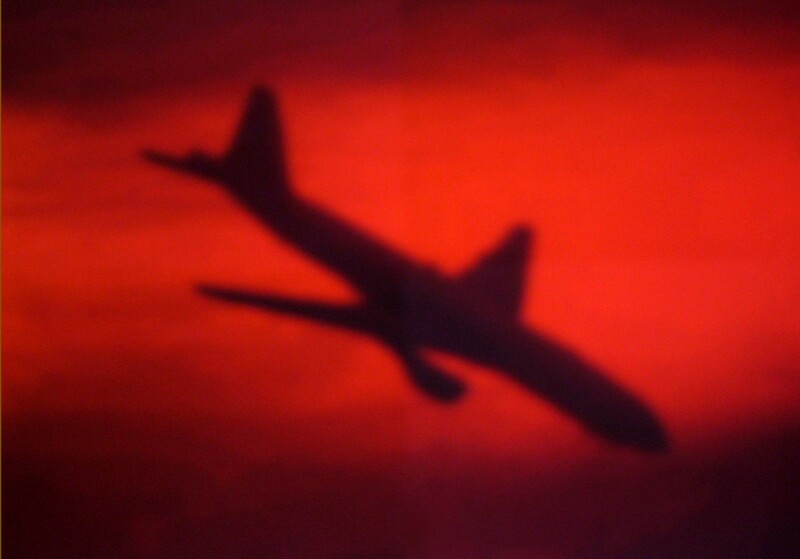 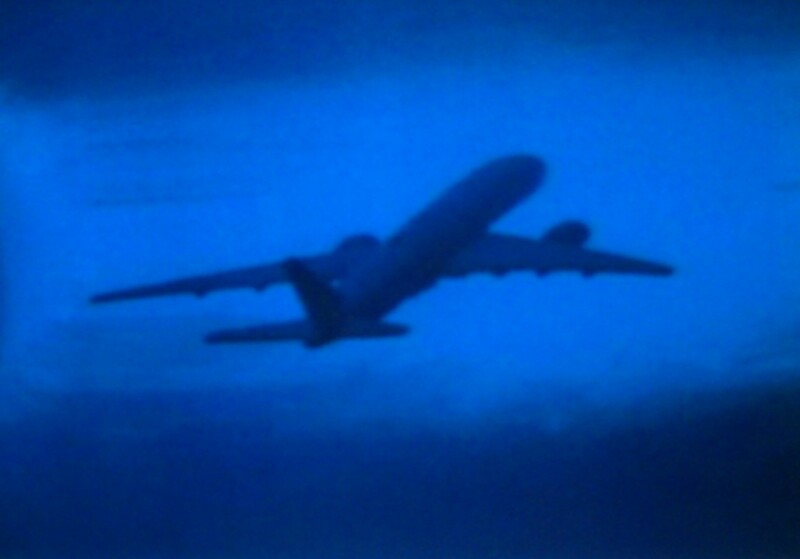 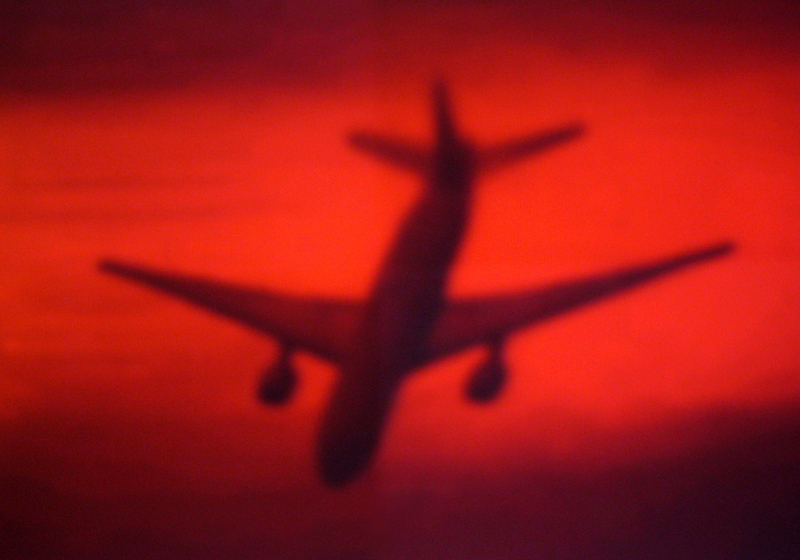 transport contains looped images of planes turning, like a memory fragment stuck repeating. 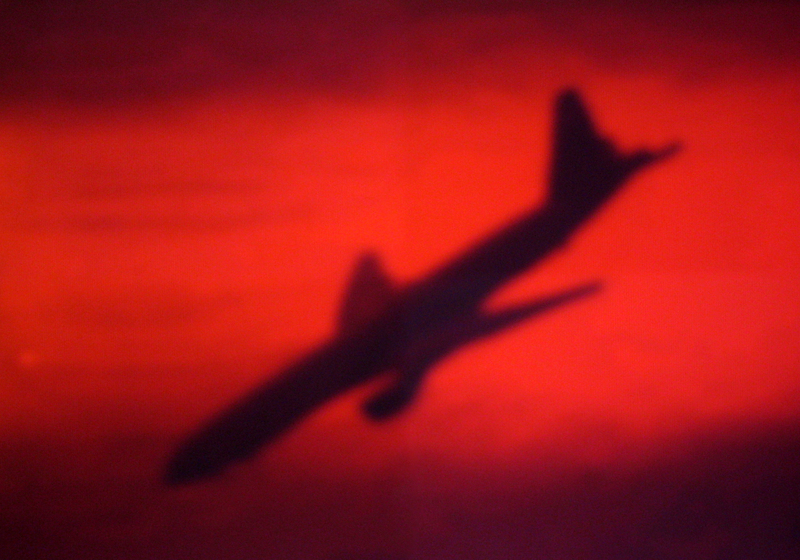 The installation emphasizes perception and shifting perspective through the references to 3D movie glasses and runway approaches. 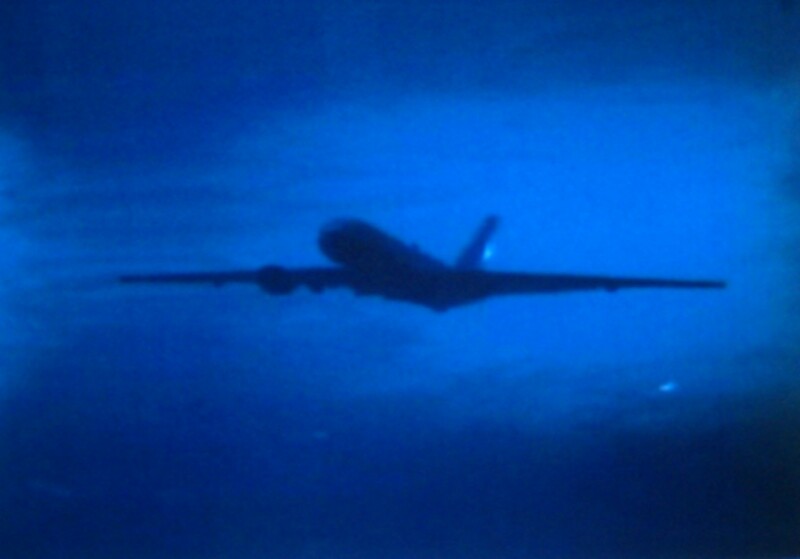 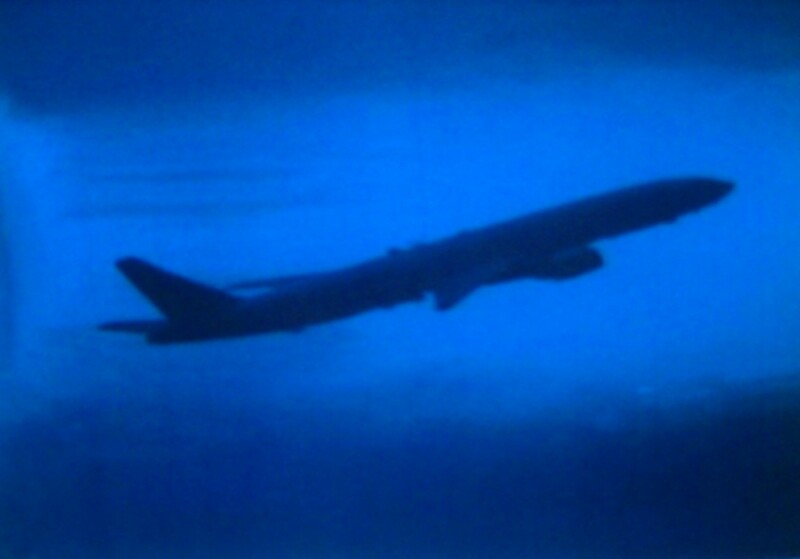 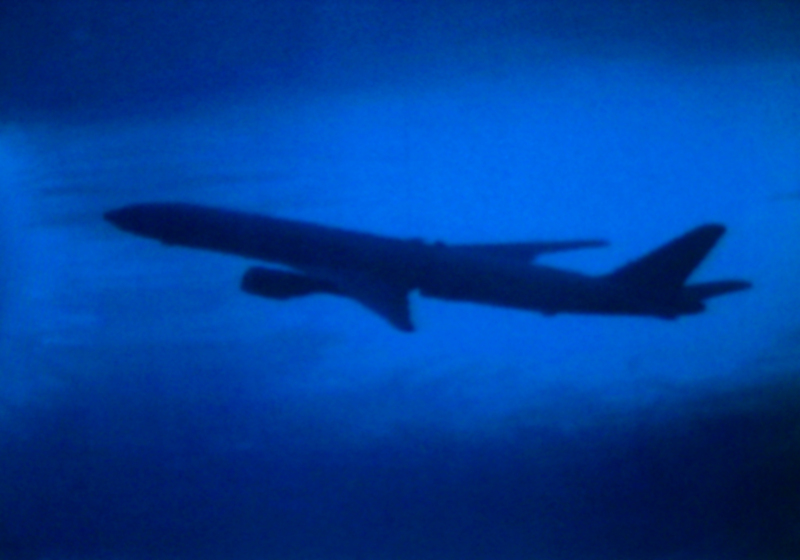 The images were made using jello and small toy planes, yet are supposed to look like film ‘stock footage’ employed in movies for generic shots.